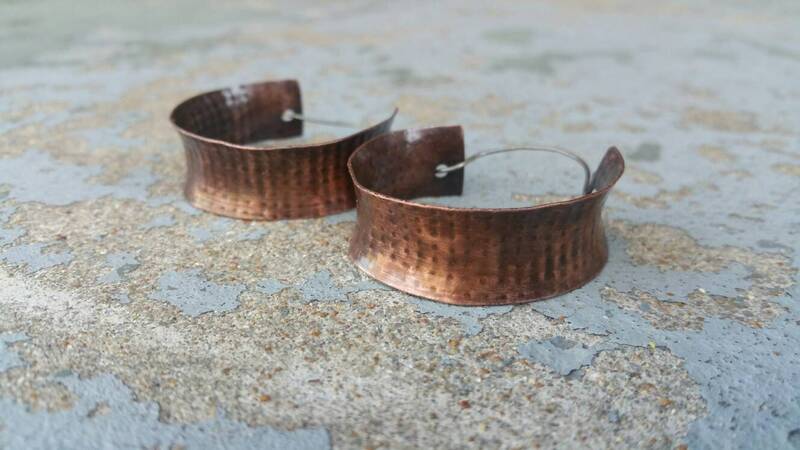 These funky earrings are created from scratch from a sheet of copper. 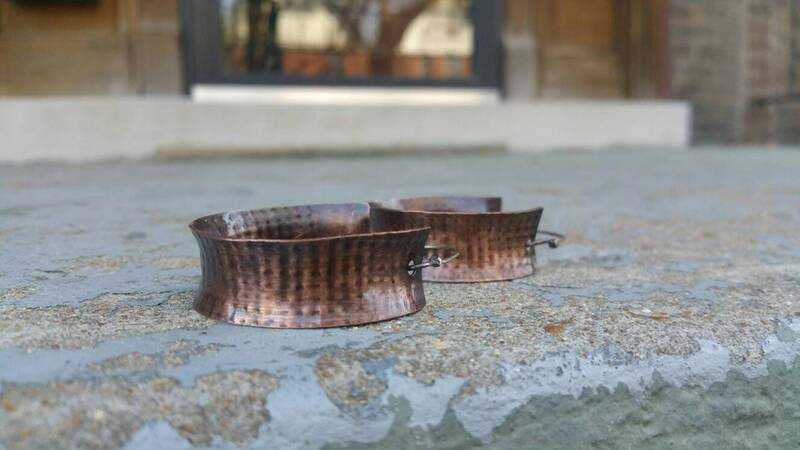 Handcut and filed, they are then textured in a rolling mill and hand formed into round shape. They are hand forged into the Anticlastic shape. They are hanmered around the sides for added strength and smoothness. 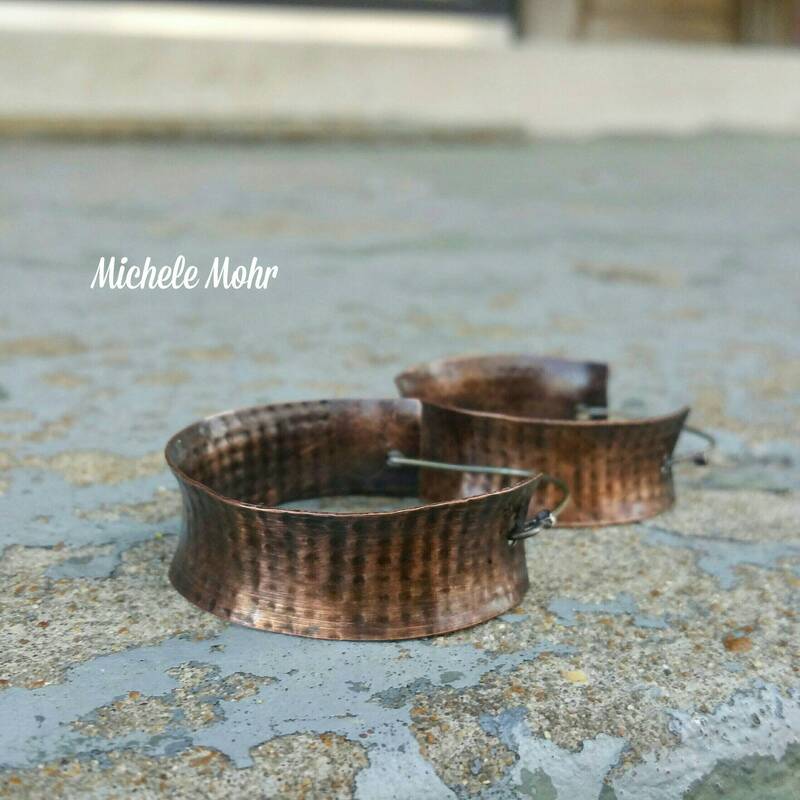 Attached from hand crafted sterling silver earwires. 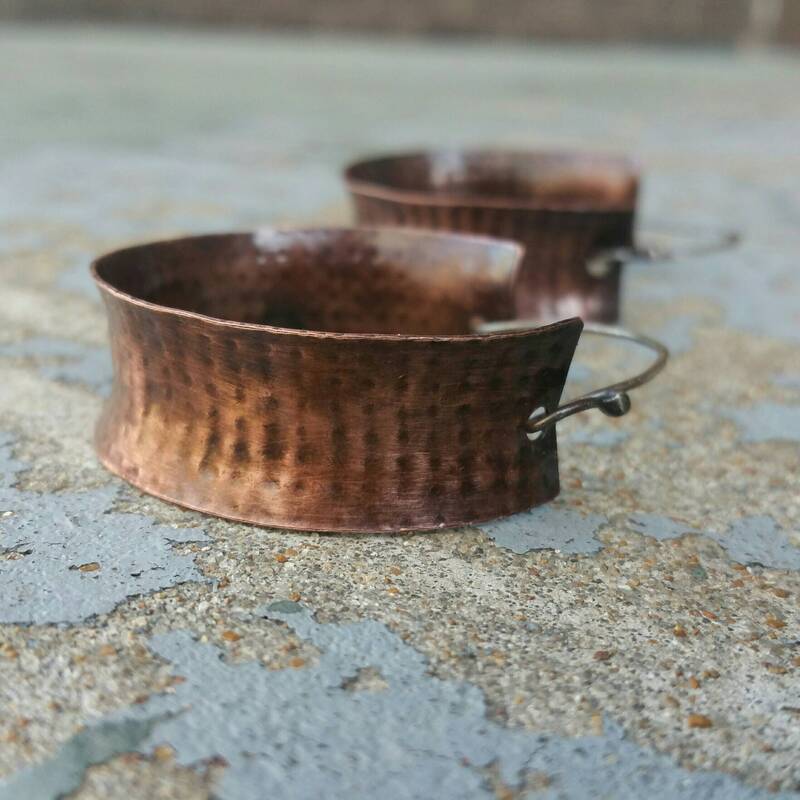 The earrings are oxidized in liver of sulfur and buffed to bring out design. 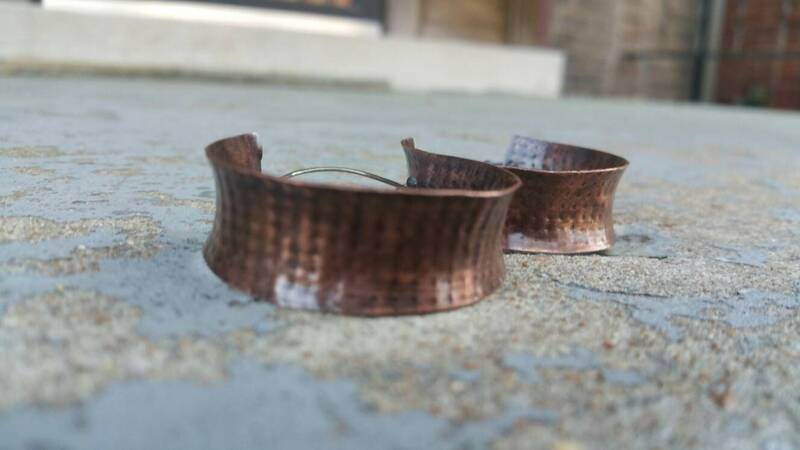 The copper hoops are buffed with beeswax to protect finish. Approximately 1.5" in diameter. Super light and easy to wear. Packaged in white cotton filled jewelry box. Ready for gifting.